"A large opportunity lies in the development of devices in a flexible form factor that can operate without deterioration in performance, allowing them to be more robust, lightweight and versatile in their use. In order for flexible displays and photovoltaics to be commercially successful, they must be robust enough to survive for the necessary time and conditions required of the device. This condition has been a limitation of many flexible, organic or printable electronics. This highlights the fact that beyond flexibility, printability and functionality, one of the most important requirements is encapsulation as many of the materials used in printed or organic electronic displays are chemically sensitive, and will react with many environmental components such as oxygen and moisture. These materials can be protected using substrates and barriers such as glass and metal, but this results in a rigid device and does not satisfy the applications demanding flexible devices. Plastic substrates and transparent flexible encapsulation barriers can be used, but these offer little protection to oxygen and water, resulting in the devices rapidly degrading. 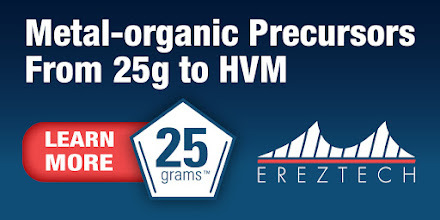 In order to achieve device lifetimes of tens of thousands of hours, water vapor transmission rates (WVTR) must be 10-6 g/m2/day, and oxygen transmission rates (OTR) must be < 10-3 cm3/m2/day. For Organic Photovoltaics, the required WVTR is not as stringent as OLEDs require but is still very high at a level of 10-5 g/m2/day. These transmission rates are several orders of magnitude smaller than what is possible using any conventional plastic substrate, and they can also be several orders of magnitude smaller than what can be measured using common equipment designed for this purpose." 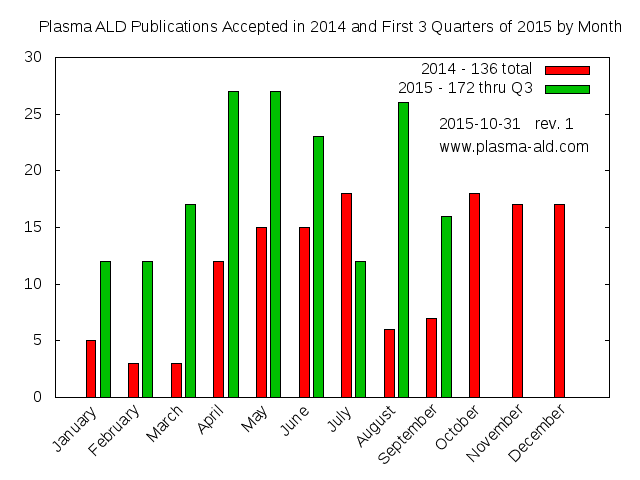 Not only is the Plasma ALD publications in 2015 booming, as reported yesterday, but also the PEALD business. ASM International, the leader in ALD & PEALD Equipment today announced a €100 million share buyback, which is a indication that they have some extra cash. Press release: ASM International N.V. (Euronext Amsterdam: ASM) today reports commencement and details of share buyback program. On October 28, 2015 ASM International N.V. ("ASMI") announced a €100 million share buyback to be executed within the 2015-2016 timeframe. As part of this program, ASMI will purchase shares which it intends to cancel upon repurchase. In addition ASMI will purchase, as part of this program, shares to cover employee stock and stock option plans. Market estimation for ALD excluding Large Batch ALD (supplied by e.g. Tokyo Electron, Kokusai, ASM), which is typically reported as LPCVD. The buyback will be realized through a program executed by intermediaries through on-exchange purchases or through off-exchange trades and will end on completion of the program, but ultimately on November 20, 2016. On May 21, 2015 the General Meeting of Shareholders authorized ASMI to repurchase common shares for a period of 18 months up to a maximum of 10% of the issued capital at a price at least equal to the shares' nominal value and at most equal to 110% of the share's average closing price according to the listing on the NYSE Euronext Amsterdam stock exchange during the five trading days preceding the purchase date. The buyback program will be executed in accordance with the conditions of this mandate given by the General Meeting of Shareholders. The maximum number of shares to be repurchased on any given day will not exceed 25% of the average daily trading volume on the regulated market on which purchases are made, calculated over the last 20 trading days before the date of repurchase. The program does not include the repurchase of ASMI's New York Registry Share program. The repurchase program is part of ASMI's commitment to use excess cash for the benefit of its shareholders. ASMI will update the markets on the progress of the buyback program on a weekly basis. This information can be found on the ASMI website (www.asm.com). "Through the first nine months of 2015, I have collected 172 PEALD publications. Compared to the 84 for this same time period in 2014, this represents a 105% growth. Exciting news for the PEALD community. Now I need to find the time to review them all and get them into the plasma ALD Publication Database." According to US Department of Energy, Zone-plate microscopes play a crucial role in various critical science areas such as energy storage, catalysis, photovoltaics, energy conversion, and unconventional oil recovery. 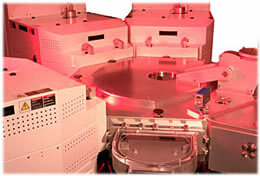 Current microscopes are limited to resolutions of 15-20 nm in the soft X-ray range and 50-70 nm in the hard X-ray range. Pushing resolutions to the 5-10 nm range will have dramatic new impacts on science and technology. 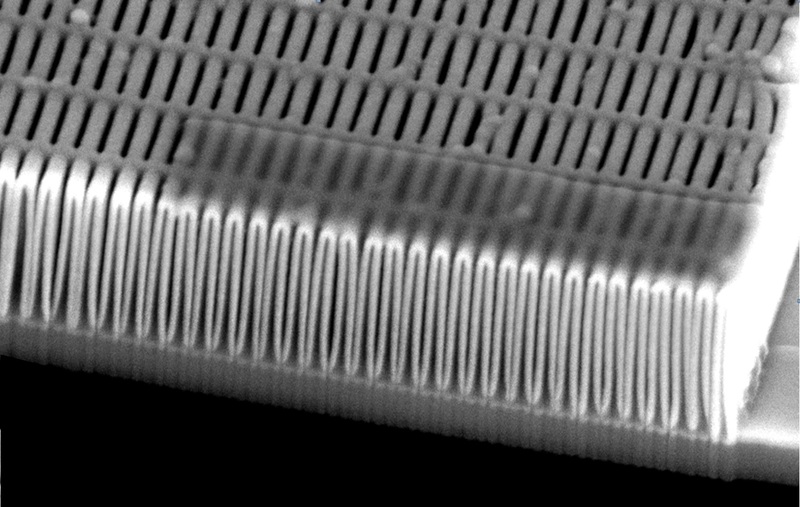 Similar to the double pattering technique used today in the semiconductor industry, scientists at Paul Scherrer Institut in Switzerland employ ALD Iridium in high aspect ratio structures to increase the resolution of Fresenel Zone Plates beyond the limit of e-beam lithography. "To further increase the resolution of Fresnel zone plates beyond the limits of electron-beam lithography, we have developed a novel technique based on the coating of a template structure with a metal layer. The electron-beam written template is coated uniformly with iridium using an atomic layer deposition (ALD) process (see figure 1). As iridium has a much higher x-ray refractive index as the template, we obtain a doubling of the effective zone density and subsequent improvement of the resolution by a factor of two compared to the template structure." 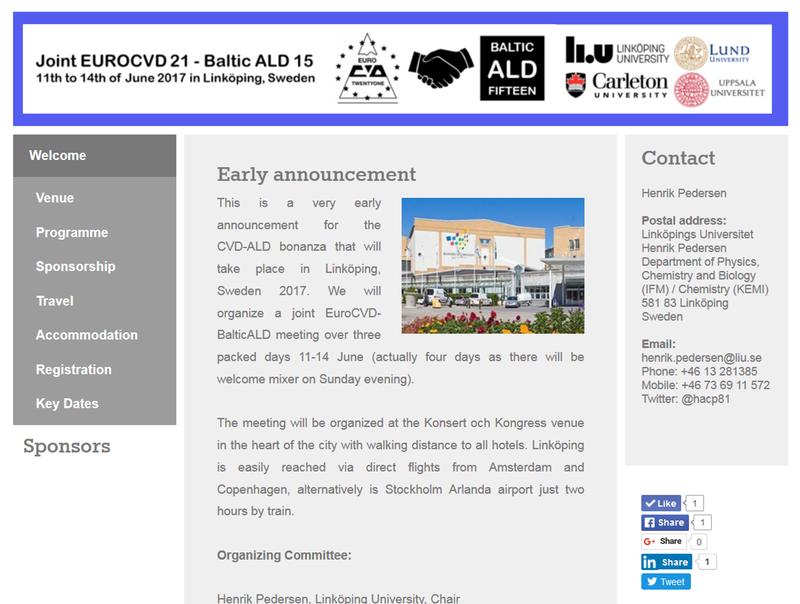 Here is a very interesting story from Riikka Puurunen on the background of creating a cover picture for the CVD Journal (image below) and material for the 40 year celebration of ALD in Finland. "November 29, 2014, it was exactly 40 years since the filing of the first patent on Atomic Layer Epitaxy by Suntola and Antson (FIN 52359). To celebrate this, the Finnish Centre of Excellence on Atomic Layer Deposition (ALDCoE) released the material of the exhibition "40 Years of ALD in Finland - Photos, Stories" (FinALD40) in the internet. Originally, this exhibition had been created for the Baltic ALD 2014 conference in Helsinki, May 12-13, 2014." Vor fünfzig Jahren wagte der Intel-Mitgründer Gordon Moore seine weitreichende Vorhersage, dass die Anzahl der Transistoren auf einem Chip sich in jedem Jahr verdoppeln würde. 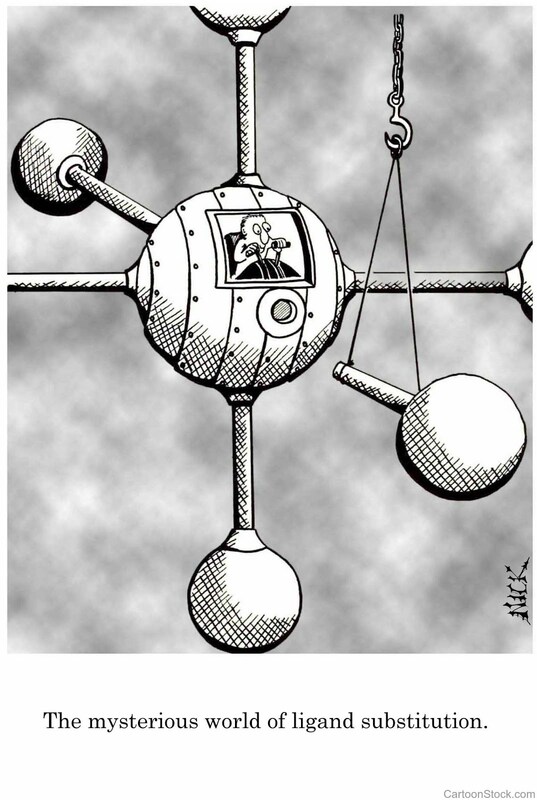 Auch mit gewissen quantitativen Revisionen wurde diese Vision zum »mooreschen Gesetz«, das die Halbleiterindustrie seither geprägt und ihren Erfolg definiert hat. Vorsprung durch Technik - Advancement through technology - finally some ALD high-k will be introduced also for automotive electronics! As reported by Computer Business Review : "Samsung Electronics has become the first semiconductor memory supplier for Audi's Progressive SemiConductor Programme. Samsung will provide 20-nanometer LPDDR4 DRAM and 10-nanometer class eMMC (embedded multimedia card) 5.1 chips to Audi. " Dr. Kinam Kim, President of Semiconductor Business form the Device Solutions Division of Samsung Electronics, and Ricky Hudi, Executive Vice President Electronic Development of Audi. "The chips are expected to be used to power Audi's future infotainment, dashboard and driver assistance applications. Audi presently has an advanced driver assistance system which includes a predictive efficiency assistant, adaptive cruise control, and traffic jam assist. 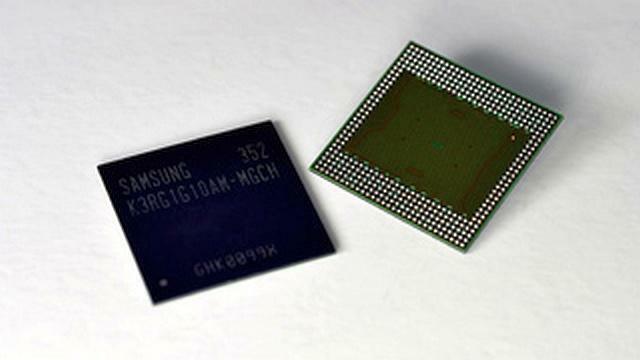 In September, Samsung launched the 12Gb LPDDR4 that has the largest capacity and highest speed available for a DRAM chip. It provides 50% greater density than the existing 8GB chips used in current smartphones, and it is also expected to help smartphones and tablets to have up to 6GB of RAM." Audi Electronic Development executive vice president Ricky Hudi said: "Samsung is leading memory technology development with its high-performance, high-density DRAM and NAND flash memory solutions based on the industry's most advanced process technology. "Through the PSCP strategic partnership with Samsung, Audi will utilize Samsung's high speed memory products to provide the best user experience to our customers. Picosun Oy, leading supplier of high end Atomic Layer Deposition (ALD) thin film coating solutions for global industries, launches ALD equipment for production of high efficiency 3D-integrated trench capacitors. Capacitors are core components of every electronic device. As the trend is towards constantly miniaturizing and more and more integrated electronic modules, there is a need to develop completely new, disruptive technologies to outperform the existing solutions - especially in areas where flawless performance, long lifetime, and unfaltering reliability are required, such as in medical, space, and aviation applications. 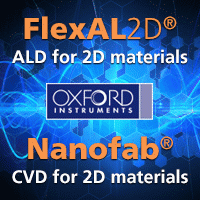 3D-nanofabricated microelectronic components answer this challenge. In high density and high voltage 3D trench capacitors, deep trench structures coated with ultra-thin high-k oxide and metallic layers enable superior voltage and charge density properties. Picosun's ALD technology is well-established in production of high quality dielectrics for various microelectronic industry applications. Now, PICOSUN™ batch ALD tools optimized for the novel capacitor technology have been proven to reduce cost-of-ownership and deliver excellent uniformity and step coverage for high-k dielectrics into 3D structures. "Industrialization of the new capacitor technology requires fast and fully automated batch ALD systems. PICOSUN™ batch ALD toolsspecifically designed for this purpose create an important competitive edge to our company. The ability to provide complete, turn-key solutions for cost-efficient manufacturing of the key components for the most advanced IC devices makes Picosun the choice of leading electronics manufacturers", summarizes Juhana Kostamo, Managing Director of Picosun. BENEQ - the ALD Foundry, IDM & OEM. Besides producing displays like an IDM and building ALD Equipment like any OEM, BENEQ is now offering ALD capacity in their factory that has 40 ALD Batch tools for foundry production as a Foundry. This is for sure a very broad and unique business model covering a big portion of the value chain. They call it "Thin as a Service™" and it covers a complete ALD service solution that will provide "a quick and easy way to implement ALD from the first samples to full-blown production". The service solution consists of two parts - a R&D service that aims to find the customized ALD solution the customer is looking for followed by the industrial production solution that applies the results on the customer’s end products. The first service part is based on a business process BENEQ calls "ALD-123™" and a development process shown in the diagram above. At the end the customer can choose to buy their own ALD equipment or continue using BENEQ as a foundry. I was, as usual, searching for any news about ALD and came across this press release from Liquid X. Funny that anything on atomic level can be regarded as disruptive these days - and yes I am proud of the headline, which originally red "ALD - More than 41 years of descriptiveness"
"Liquid X Printed Metals®, Inc. is a technology company headquartered in Pittsburgh, Pennsylvania that manufactures functional metallic inks. Liquid X® inks are considered disruptive in that their technology is on the atomic level. This provides processing advantages and achieves better metal film properties than other metallic inks that feature nanoparticles and metal flakes." PITTSBURGH - Liquid X Printed Metals ®, Inc., (Liquid X®), an advanced material manufacturer of functional metallic inks, today introduced two particle-free inks. The inks will enable manufacturers in the electronics and other industries to produce thinner, more cost-effective and adaptable electronic components that will drive innovation in consumer electronics, and advanced and medical technology among other industries. The company's two inaugural products, Liquid X®'s Silver Inkjet Ink and Silver Flexo Ink were developed using an original and proprietary particle-free formulation that leads to more cost-effective and trouble-free processing; more durable traces that withstand bending and flexing; adherence to the full range of substrates; good conductivity; excellent printability; and enhanced sustainability due to its water-based composition. "Liquid X® is introducing particle-free inks that eliminate problems associated with other metallic inks that are made with less stable nanoparticles or metal flakes, which are thicker and can cause clogging, slowness and other problems in printing," said Greg Babe, President and CEO of Liquid X®. "Our Silver Inkjet Ink and Silver Flexo Ink leverage atomic-level technology, which represents the kind of powerful, robust and adaptable innovation required to tap the fullest potential of printed electronics." 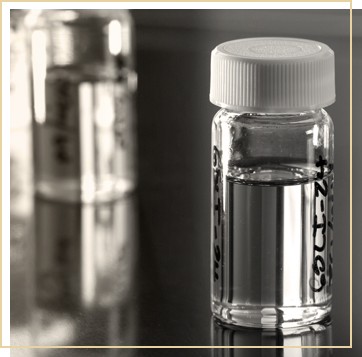 Liquid X(®)'s molecular inks consist of novel metal complexes that are printed as solutions that are used in the creation of films or traces that exhibit high conductivity, are thin and precise, and allow for low-temperature processing that enables adherence on a wide range of substrates. And the low viscosity of the inks allow for use in printing methods that include inkjet, aerosol jet, flexography, and gravure. Liquid X(®)'s conductive inks are designed for applications that range from transparent conductors and touchscreens, to photovoltaic, industrial and automotive applications, and smart packaging. In development is a product called Silver Stretchable Ink, which is designed for stretchable substrates such as fabrics or elastomers. Applications for Silver Stretchable Ink include wearables, soft robotics and other customized applications. Liquid X Printed Metals®, Inc. is a technology company headquartered Pittsburgh, Pennsylvania that manufactures functional metallic inks. The company's inks are considered disruptive in that their technology is on the atomic level. This provides processing advantages and achieves better metal film properties than other metallic inks that feature nanoparticles and metal flakes which create instabilities. Visit: www.liquid-x.com. Here is a impressive report by SK Hynix & Prof. Hwang and co-workers SNU on a RRAM device with Ta/Ta2O5 stacked RS layers with ultra-thin Ta2O5 thicknesses (0.5–2.0 nm) deposited by ALD. Woah that´s thin - like the same order of thickness like native oxide, which makes me wonder if teh extra couple of ALD cycles was needed --> I need to study the paper more carefully! (a) Schematic diagram and (b) TEM image of the TiN/Ta2O5/Ta/TaN device. Ta2O5 (0.5 nm) device, and (d) Ta2O5 (1.5 nm) device. Insets show the linear I-V plot. Scanning transmission electron microscopy (STEM) high angle annular dark field (HAADF) images of (c) 0.5 nm-thick device and (d) 2.0nm-thick device. Resistance switching (RS) devices with ultra-thin Ta2O5 switching layer (0.5–2.0 nm) with a cell diameter of 28 nm were fabricated. The performance of the devices was tested by voltage-driven current—voltage (I-V) sweep and closed-loop pulse switching (CLPS) tests. A Ta layer was placed beneath the Ta2O5 switching layer to act as an oxygen vacancy reservoir. 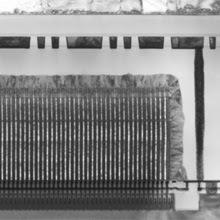 The device with the smallest Ta2O5 thickness (0.5 nm) showed normal switching properties with gradual change in resistance in I-V sweep or CLPS and high reliability. By contrast, other devices with higher Ta2O5 thickness (1.0–2.0 nm) showed abrupt switching with several abnormal behaviours, degraded resistance distribution, especially in high resistance state, and much lower reliability performance. A single conical or hour-glass shaped double conical conducting filament shape was conceived to explain these behavioural differences that depended on the Ta2O5 switching layer thickness. Loss of oxygen via lateral diffusion to the encapsulating Si3N4/SiO2 layer was suggested as the main degradation mechanism for reliability, and a method to improve reliability was also proposed. 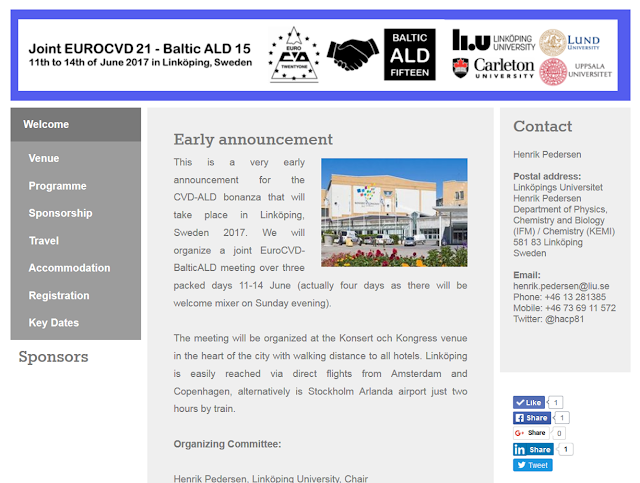 The web page for the joint EuroCVD-BalticALD 2017 in Sweden is up! ALD Systems Guide at AZO Nano is updated - if you´re planning to invest in some new ALD equipment - check it out! The collection is not complete but a good start. 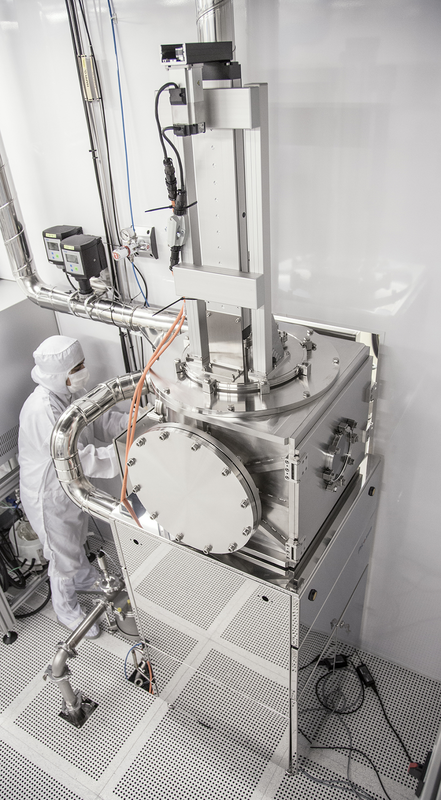 Interesting is that there is still an offering for Aviza Technology Celsior fxP Single Wafer ALD System that used to run The famous NOLA Process on for 90 and 70 nm Deep Trench DRAM Production at Infineon / Qimonda, Nanya, Inotera, and Winbond. Probably not active anymore. Below you find my travel report from the ALD Russia workshop in Dolgoprudny, Moscow region, September 2015. Originally, this travel report was published as a stand-along text through Google docs and also through through BALD Engineering blog. 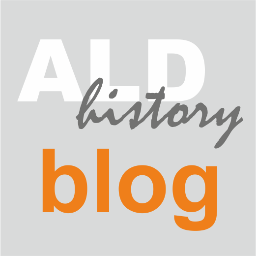 After the ALD Russia workshop, this ALD History blog has been created, and one travel report published in it (St. Petersburg, 2015, Puurunen). 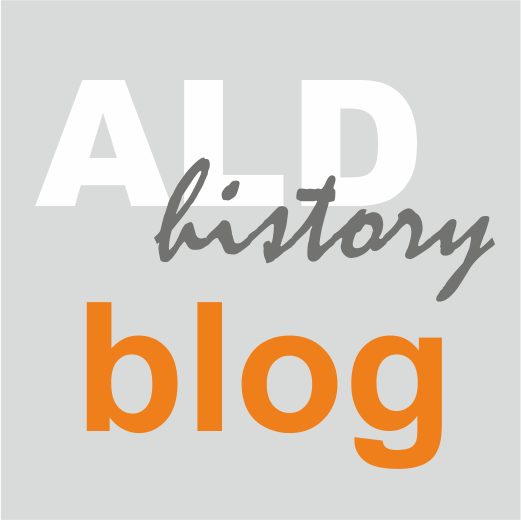 Since the ALD Russia workshop was historical in nature in many ways, and since it will be wise to collect ALD-history-related travel reports in one place, I want to publish the travel report here again. To this version, I have added a significant number of previously unpublished photographic material. 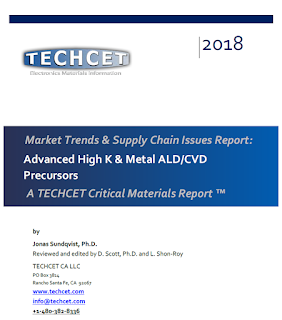 Here is an interesting report on liquid ALD from NIST covered by Nanowerk News: "Remember that pair of gold electroplated earrings you bought years ago at the mall? Key to crafting their allure was the ability to place an ever-so-thin layer of valuable metal atop a less costly base material. This same strategy will be central to building the “engines” of future hydrogen-powered cars, and scientists at the National Institute of Standards and Technology (NIST) have developed a way to do it more effectively with metals rarer than gold ("Self-terminated electrodeposition of iridium electrocatalysts")." Sang Hyun Ahn, Haiyan Tan, Mareike Haensch, Yihua Liu, Leonid A. Bendersky and Thomas P. Moffat. A simple electrochemical process for submonolayer deposition of ultrathin catalytic Ir films is demonstrated. This method enables effective utilization of one of nature's rarest elements while different substrates facilitate the exploration of promising bimetallic catalysts for a sustainable hydrogen economy. Semi-coherent Ir films were deposited on Au, Pt and Ni substrates using K3IrCl6–Na2SO4–H2SO4 electrolytes operated between 40 °C and 70 °C. However, the deposition reaction is quenched at the onset of H2 production where adsorbed H blocks the reduction of IrCl6−xH2Oxx−3 to Ir. The electrode can be reactivated for further deposition by pulsing the potential to more positive values where adsorbed H is oxidized. The electrocatalytic activity of ultrathin Ir and Pt films, and combinations thereof, were examined as function of the number of self-terminating deposition pulses. 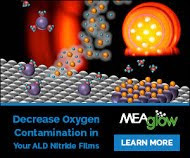 The ultrathin films match or exceed the best reported activity metrics for hydrogen oxidation in alkaline media and oxygen evolution in acid. "To get the maximum benefit from the graphene surface, the team used a precise method for creating thin-films, a process known as atomic layer deposition, to grow two different materials on vertically aligned graphene nanosheets: titanium nitride for their supercapacitor’s cathode and iron nitride for the anode." Preparation of TiN@GNS Cathode: All chemicals were bought from Sigma Aldrich and used without further purification. Graphene nanosheets (467 m2 g-1) were provided by INCUBATION ALLIANCE, INC. The cathode fabrication process is mainly composed of two steps: TiO2 deposition by atomic layer deposition (ALD) and transferring to nitride through annealing in ammonia (NH3) atmosphere. Before ALD, the GNS substrates were treated with oxygen plasma at 200 W for 10 minutes with an O2 gas flow of 100 sccm, 70 mTorr. In a typical ALD (Beneq TFS 200) process, 120 °C was applied to the GNS substrate with TiCl4 and water as the titanium and oxygen source, respectively. 166 cycles (~ 1.2 Å per cycle) deposition was conducted to obtain 20 nm TiO2 coating during which the reaction chamber was maintained with a steady N2 steam at 300 sccm (cubic centimeter per minute) at 1.0 mbar. The sample of TiO2@GNS was then annealed in NH3 atmosphere at 800 °C for 1 h with a gas flow of 50 sccm and heating rate of 20 °C per minute. The control sample of TiO2@GNS was synthesized with the same ALD process. Preparation of Fe2N@GNS Anode: 20 nm ZnO was deposited on GNS (oxygen plasma pretreated) with ALD at 200 °C. The ZnO@GNS sample was then immersed in 0.5 M Fe(NO3)3 solution for 2 h to have a thorough transformation from ZnO to FeOOH as reported by the previous work. The FeOOH@GNS sample was then annealed with the same NH3 atmosphere situation at a lower temperature of 600 °C. The control sample of FeOOH@GNS was fabricated by the same method just without the afterward annealing. 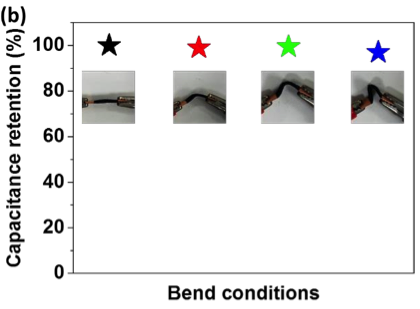 Capacitance retention of the full device at different bending conditions. "All Metal Nitrides Solid-State Asymmetric Supercapacitors" DOI: 10.1002/adma.201501838 (©WILEY-VCH Verlag). I just found this interesting article in Solid State Technology (abstract below) and realized again that 2D materials is actually steaming ahead and wafer level processing is happening today. Maybe 2D materials are to some extent even more promising than III/V channel integration on silicon wafers through horizontal or vertical Nanowires. One huge advantage as I see it is the lower thermal budget required for 2D Material growth or transfer processes which opens up huge possibilities for 3D stacking and continued scaling similar to what is happening for 3DNAND today. Due to their exciting properties, 2D crystals like graphene and transition metal dichalcogenides promise to become the material of the future. BY STEFAN DE GENDT, CEDRIC HUYGHEBAERT, IULIANA RADU and AARON THEAN, imec, Leuven, Belgium. 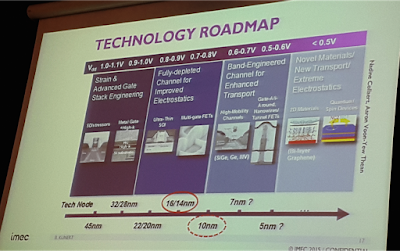 The Technology roadmap as presented recently by Imec at the EWMOVPE workshop in Lund, Sweden, showing 2D materials as an option for beyond the 5 nm node. 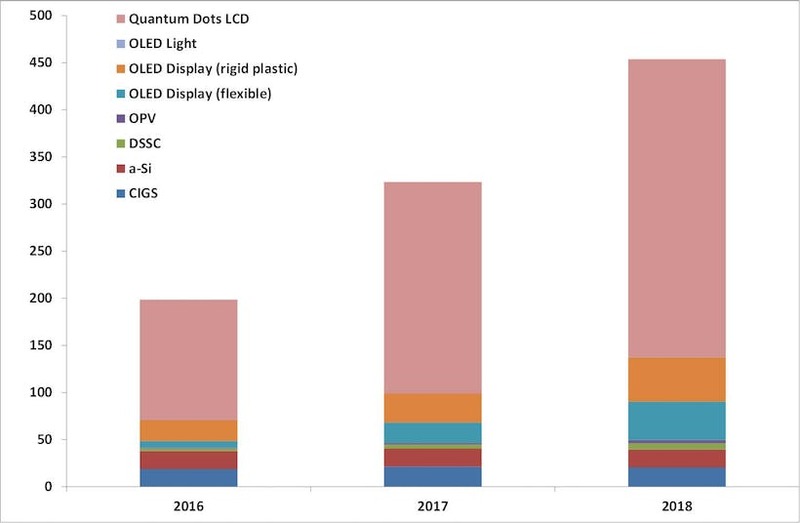 As we enter into the era of functional scaling where the cross-roads of More-Moore and More-Than-Moore meet, the search for new devices and their enabling material comes to the forefront of technology research. 2D crystals provide very interesting form-factors with respect to traditional 3D crystals (bulk, Si, and III-V semiconductors). In this elegant 2D form, electronic structure, mechanical flexibility, defect formation, and electronic and optical sensitivity become dramatically different. Aaron Thean: “As researchers at imec explore the physics and applications of such material, it is now becoming important to find a wafer-scale path towards technology implementation and integration of these novel materials.” Working closely with research teams across universities and industry partners, the first important step for imec is to enable the flake-to-wafer transition, while concurrently exploring the material, and device-to-circuit applications. The work will build new infrastructure (e.g. epitaxy, metrology, patterning, and electrical characterizations, etc.) around it. 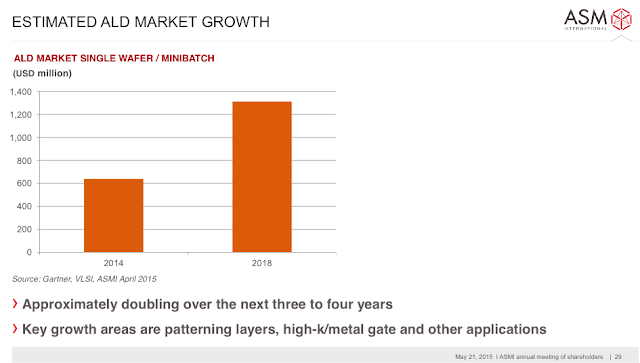 Interesting here is that imec is working on wafer level growth of MX2 materials "by a direct sulfurization process or by atomic layer deposition in the 200 and 300mm imec fabs.” This is not the first time that imec makes presentations in this area. I myself visited two events this year where imec presented work in this field - EWMOVPE workshop, Lund Sweden (above) and SEMICON Europa in Dresden (below). Monolayer controlled deposition of 2D transition metal dichalcogenides on large area substrates, Presented by Annelies Delabie, Imec at SEMICON Europa 6th of October 2015, in Dresden. I also visited SEMICON Europa 2014 where imec hosted a session on 2D Materials : http://www.semiconeuropa.org/node/2786 which was very interesting. However, there are probably some years of development ahead as ITRS has 5 nm introduction in the year 2020 or 2021 ready for mass production and that node will as we know it today not employ 2D materials. 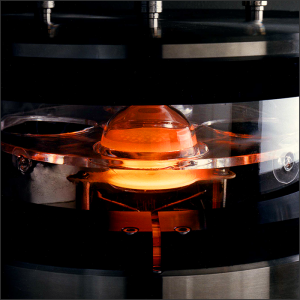 Atomic layer deposition (ALD) is a thin film deposition process that allows for atomic layer thickness resolution, excellent conformity of high aspect ratio surfaces, and pinhole-free layers. 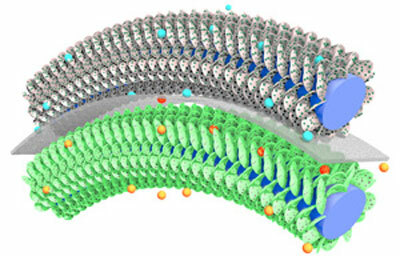 This is achieved by sequential formation of atomic layers in a self-limiting reaction. ALD is commonly used in the semiconductor industry for high-k dielectric films in CMOS processing, memory devices, MEMS, and sensors. The atomic layer deposition system is used for development of protective / functional coatings in fuel cells and other applications for corrosion / wear resistance. It can also be used to coat high aspect ratio structures like nanowires and nanotubes for next generation device development. Metals: Cu, Ru, Ir, W and more. "The result is a revolutionary spatial ALD solution that takes the whole concept of continuous ALD to the next level, with processing scale and throughputs that have not been possible before. The ALD process now is like an automated car-wash, where the substrates move on a production line and each phase of the treatment is applied on the move. Based on the first results, it looks like we will completely redefine what high speed in ALD manufacturing means." Existing news and defenitely something forother ALD companies to follow - BENEQ Blog - A billion seconds - Stories from the home of ALD! This summer I had a chance to visit BENEQ and I was very much surpised by the size of their factory in Espoo, Finland - it is huge and it is all about ALD! When you visit our factory in Espoo and enter the clean room area where we keep our 40 ALD machines, one thing you will notice is the constant ticking sound from the conventional batch ALD equipment. Those are the pulses of precursor gases in the equipment chambers ticking. Tick. Tick. Tick. Combined with the humming background noise of the ventilation system and the vacuum pumps, it is a rather relaxing sound. It is one of the very characteristics that define the atmosphere of the factory floor. Prof. Drozd and his current design of thin film ALD reactor, at St Petersburg State University, made with the Nanoengineering brand. Photo by Riikka Puurunen, 11.11.2015. Erwin Kessels is a full professor at the Department of Applied Physics of the Eindhoven University of Technology TU/e (The Netherlands). He is also the scientific director of the NanoLab@TU/e facilities which provides open-access clean room infrastructure for R&D in nanotechnology. Erwin received his M.Sc. and Ph.D. degree (with highest honors) in Applied Physics from the TU/e in 1996 and 2000, respectively. His doctoral thesis work was partly carried out at the University of California Santa Barbara and as a postdoc he was affiliated to the Colorado State University and Philipps University in Marburg (Germany). In 2007 the American Vacuum Society awarded him the Peter Mark Memorial Award for "pioneering work in the application and development of in situ plasma and surface diagnostics to achieve a molecular understanding of thin film growth". From the Netherlands Organization of Scientific Research, he received a grant in 2010 to set up a large research program on "nanomanufacturing" in order to bridge the gap between nanoscience/nanotechnology and industrial application. His research interests cover the field of synthesis of ultrathin films and nanostructures using methods such as (plasma-enhanced) chemical vapor deposition (CVD) and atomic layer deposition (ALD) for a wide variety of applications, mostly within nanoelectronics and photovoltaics. 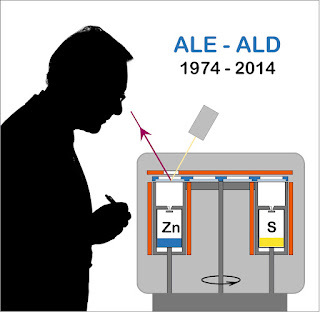 Within the field of ALD, he has contributed to the field most prominently by his work on plasma-assisted ALD and his research related to ALD for photovoltaics. Erwinchaired the International Conference on Atomic Layer Deposition in 2008 and he has published over 200 papers and holds 2 patents. nearby Marburg in Germany from November 08-11, 2015.